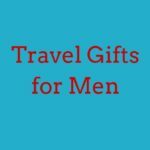 Looking for travel gifts for her? We’ve put together a list of the best travel gifts for women for 2019 whatever your budget. These gifts are sure to please any woman who travels including your wife, girlfriend, mom, sister, daughter or friend! A scarf is a great gift for women who travel and will keep them warm in cold airports and airplanes. This scarf has a hidden zip pocket to hold a smartphone, passport and money when traveling. Noise cancelling headphones will ensure she always has a peaceful and comfortable flight. These Bose headphones are popular with frequent flyers but more affordable headphones are also available. A journal is a great gift for any traveler who still prefers jotting down notes and thoughts the traditional way. 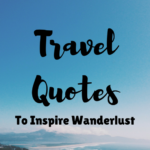 The travel quotes in this hardcover version also provide inspiration. Compression socks don’t have to be ugly. Help her prevent swelling and DVT with a fashionable and functional pair – this polka dot pair is especially stylish. One of the more practical gifts you can give any traveler is an external battery to recharge their phone when they don’t have access to an outlet. This lipstick-sized portable charger is perfect for women that travel and even comes in cute colors like pink, blue and gold! Give her the gift of good sleep with a cute and stylish eye mask. Check out this classic favorite if basic black is more her style. Help her stay organized on her travels with a cute jewelry organizer. Keep identity theft at bay with an RFID blocking wallet and passport holder. This cute travel wallet comes in a variety of colors. This cute little bag is reusable, washable, adorable and can hold 50 lbs. Comes in basic black as well as a variety of fun colors and prints. A delicate chain necklace featuring a small compass disc pendant is a great gift for a woman that loves travel and jewelry. Comes in both sterling silver and gold dipped. This mini cork globe will help her keep track of where she has been or where she plans to go. The Journeys of a Lifetime: 500 of the World’s Greatest Trips not only makes a great coffee table book but can serve as travel inspiration for future travels. Perfect for any aviation enthusiast, an airport code throw pillow from Airport Tag is a quirky way to show some airport pride. Additional items with airport codes include pouches, tote bags, mugs and T-shirts. 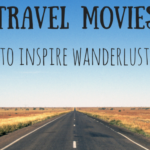 Do you know a travel-loving foodie? Send her a subscription box that lets her sample food from all over the world. The Try the World Food Box will deliver curated food from a new country straight to her door every one or two months. A small travel umbrella is a great gift for women. A bamboo travel cutlery set is a great gift for the women in your life who has a zero waste lifestyle or is trying to be more eco-friendly. The travel pouch contains a knife, fork, spoon, chopsticks and a straw so she does not have to use plastic utensils or straws. This cute mini instant camera makes for a fun travel gift. It is available in several cute colors including this ice blue and pink. The woman is your life is sure to love this cute makeup bag. A world map is a fun way for her to keep track of her travels. If you’re looking to splurge, upgrade her camera. A mirrorless camera is great for travelers who don’t want to carry a bulky DSLR but don’t want to sacrifice quality. The Sony Alpha a6000 gets good reviews and is one of the more affordable mirrorless options. 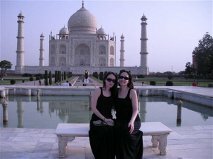 Want more ideas for gifts for women who travel? 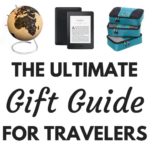 For more travel gift ideas for her see 67 Best Gifts for Travelers. 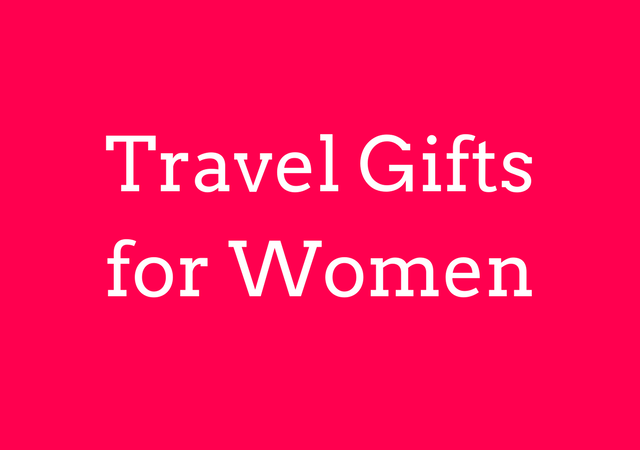 Do you have any additional gift suggestions for women that travel? These are all good. As a man it’s hard for me to relate to every item a female traveler would need. I think you could include a few items such as a nice Pashmina. The zipper hidden pocket scarf is cool a nice large scarf or pashimina is really nice on a plane or at some conservative sites like churches, etc. I also like mini umbrellas but if your going light you can usually just buy a cheap throw away one at your destination. One thing I bought my wife recently is a portable cell phone battery which is OK but this one has a built in flashlight. It is small and could help in two emergency situations. Cell phones have flashlights but they are very weak usually. I love the pocket scarf and the cork globe. How fun! Can I have all of these please? 🙂 Great gift ideas! Those Sony cameras are taking off. A great list of items that I know my wife will love! Totally looking for a new travel camera, thanks for the recommendation! Great ideas. I love these wonderful gifts. They are practical and very good gifts for traveler indeed. That Sony camera is looking good I will check the details. Thanks for the ideas for gifts. I got my mum a personalized luggage tag this year from Shutterfly as one of her gifts with a picture of somewhere we traveled to in the past. I love the Shutterfly luggage tags in particular because they’re metal and the photos are very high quality and durable. I stock up whenever a 4 “free” promo comes around, where they are $4 each, but you can usually get them for around $10. I have the external battery, and I was subscribed to Try the World, highly recommend them both! I could definitely use a travel umbrella, it never rains where I live and I end up being unprepared in other countries! Thanks so much for this amazing list. I can get all my travelling girl friends awesome gifts now. Thanks for the list. I got a few goodies for my wife and now I’m done! Great list! These are the best travel gifts. Thank you for sharing.